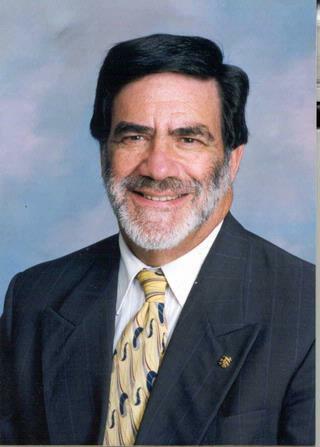 Dr. Davidson is Director Emeritus of the Strong Center for Developmental Disabilities (SCDD); a federally-funded center for interdisciplinary training, demonstration services, research and technical assistance in intellectual and developmental disabilities (IDD). He is also Chief Emeritus of the Division of Developmental and Behavioral Pediatrics. Dr. Davidson served as the major supervisor for over 50 postdoctoral fellows in pediatric psychology and predoctoral fellows in clinical psychology. He periodically serves as a member of PhD dissertation committees in the Department of Clinical and Social Psychology, and MA thesis committees in the School of Nursing. He has directed psychology master's theses at SUNY College at Brockport and at SUNY Colege at Geneseo. Dr. Davidson's clinical work involved serving people with IDD who also had behavioral and psychiatric challenges. Dr. Davidson's major research interests include: Aging and Developmental Disabilities; Behavior Disorders; and Neurotoxicants and Development. Philip W. Davidson, PhD is working with the Seychelles Child Development Study team to examine associations between prenatal exposure to transplacentally transmitted methylmercury (MeHg) and child development. Ocean and lake fish ingest methylated Hg++ and store it in fatty tissue. Humans consuming fish through dietary intake, therefore, are exposed to MeHg, known to be a CNS toxin and a teratogen. Eating only a few meals of fish per month may raise MeHg to levels that exceed the WHO standard. Recent studies have indicated that low-dose exposure may present a toxic stimulus in utero and affect the development of those offspring of mothers who eat fish during pregnancy. The study is focused on developmental outcomes in older cohort of children and young adults prenatally exposed to MeHg in the Republic of Seychelles. Prior to his retirement, Dr. Davidson studied the characteristics of aging persons with intellectual and developmental disabilities. Xu Y, Wahlberg K, Love TM, Watson GE, Yeates AJ, Mulhern MS, McSorley EM, Strain JJ, Davidson PW, Shamlaye CF, Rand MD, Myers GJ, van Wijngaarden E, Broberg K. "Associations of blood mercury and fatty acid concentrations with blood mitochondrial DNA copy number in the Seychelles Child Development Nutrition Study." Environment international.. 2019 Jan 17; 124:278-283. Epub 2019 Jan 17. Irwin JL, Yeates AJ, Mulhern MS, McSorley EM, Strain JJ, Watson GE, Grzesik K, Thurston SW, Love TM, Smith TH, Mruzek DW, Shamlaye CF, Monthy C, Myers GJ, Davidson PW, van Wijngaarden E. "Maternal Gestational Immune Response and Autism Spectrum Disorder Phenotypes at 7 Years of Age in the Seychelles Child Development Study." Molecular neurobiology.. 2018 Nov 14; Epub 2018 Nov 14. McSorley EM, Yeates AJ, Mulhern MS, van Wijngaarden E, Grzesik K, Thurston SW, Spence T, Crowe W, Davidson PW, Zareba G, Myers GJ, Watson GE, Shamlaye CF, Strain JJ. "Associations of maternal immune response with MeHg exposure at 28 weeks' gestation in the Seychelles Child Development Study." American journal of reproductive immunology : AJRI.. 2018 Nov 0; 80(5):e13046. Epub 2018 Sep 17. Chapter Title: "The Impact of Prenatal Exposure to MeHg and Maternal Nutritional Status on Child Development: Findings from the Seychelles Child Development Study"
Chapter Title: "Neurodevelopmental Effects of Maternal Nutrition Status and Exposure to Methylmercury from Eating Fish during Pregnancy: Evidence from the Seychelles Child Development Study"
Chapter Title: "An International Perspective of Mental Health Services for People with Intellectual Disability"